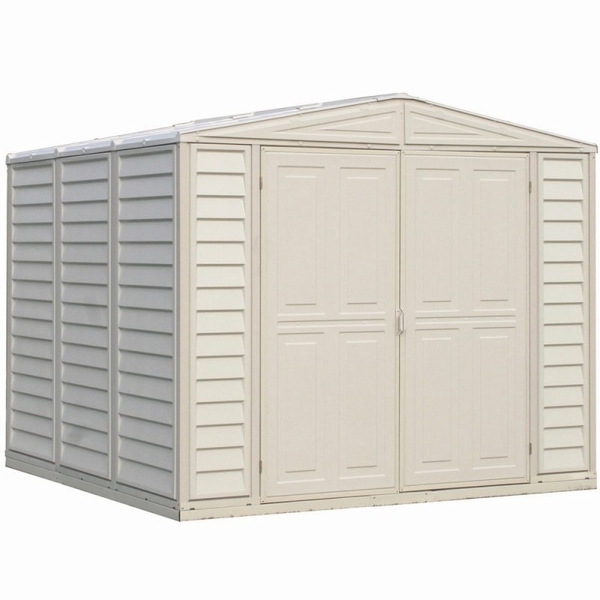 Perfect for most backyards, the DuraMax DuraMate vinyl shed is maintenance free! 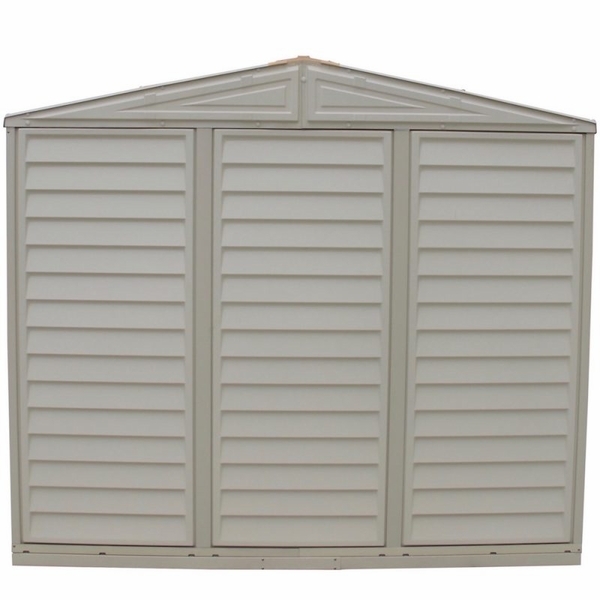 Constructed of durable all-weather vinyl in an ivory color, it will never need painting or treating. It will not rust, dent, rot, mildew or fade. It is also fire retardant and much quieter in the rain than most metal storage sheds. 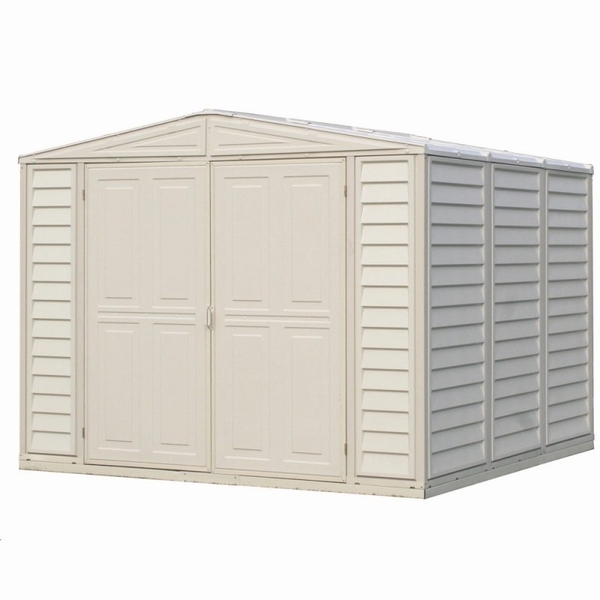 The wall columns are reinforced with a solid metal structure, giving the vinyl shed extra strength and making it easy to hang shelves or garden tools inside. 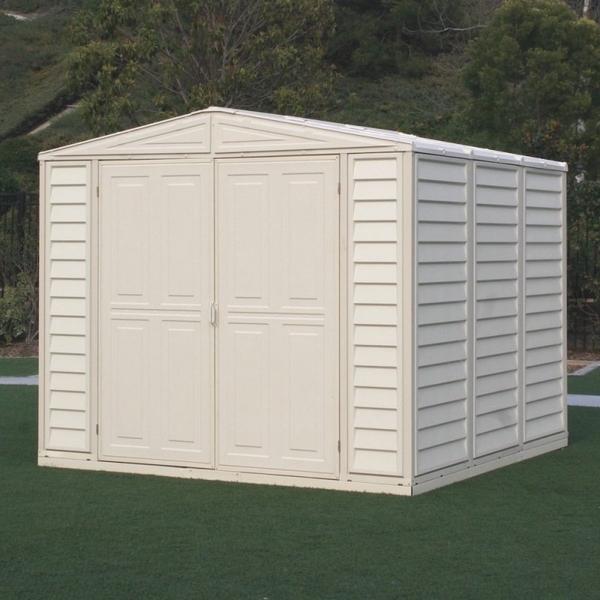 The DuraMate 8' x 8' vinyl shed boasts 305 cubic feet of room, with double doors wide enough for equipment to fit through and high enough for tall people. The DuraMate vinyl shed is wind tested up to 115 mph, and it can support up to 20 pounds of snow per square foot on the roof! Also included with this shed is a skylight, providing your shed with natural lighting.